TwinGuard Ultra Low Temperature Freezers with Dual Cooling Technology offer the highest level of security for high-value samples. Alongside exceptional ease-of-use and data monitoring, the Dual Cooling System provides the highest level of protection. The two independent refrigeration systems provide a reliable and exceptionally stable -86°C ultra low temperature environment. If one system unexpectedly fails, the other can maintain the freezer in the -70°C range until service can be arranged. Building upon this core technology, Panasonic has upgraded its TwinGuard Ultra Low Temperature Upright Freezers even further with the changing needs of its customers in mind. An innovative freezer cabinet design with chamfered edges and VIP PLUS insulation helps to achieve optimum temperature uniformity within a reduced footprint. 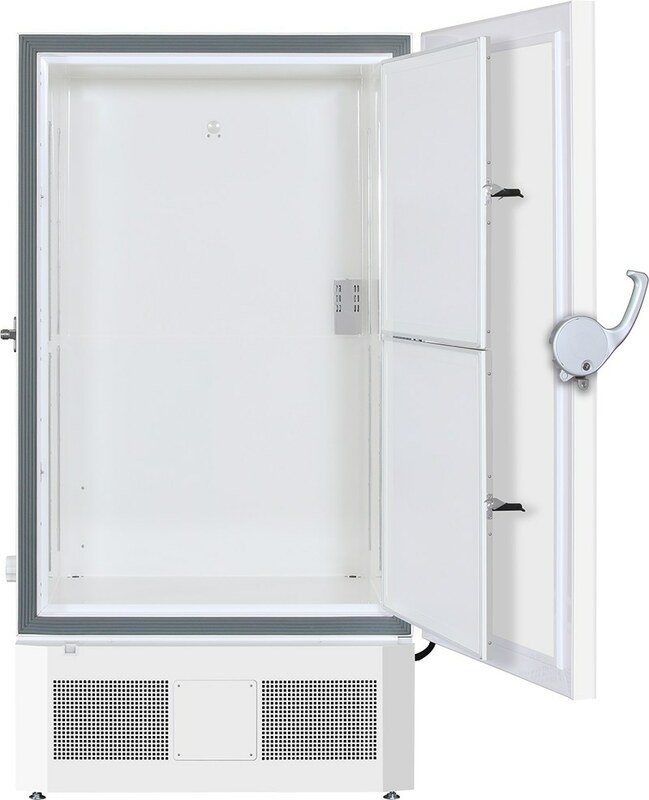 The bevel of the outer door sides reduces the space required to the side of the freezer for door opening so more freezers can be installed within a large multi-freezer laboratory. The new models also feature a flexible shelf layout with multiple shelf configurations that enable a wider variety of storage options. Existing inventory racks can be transferred into the new freezers. 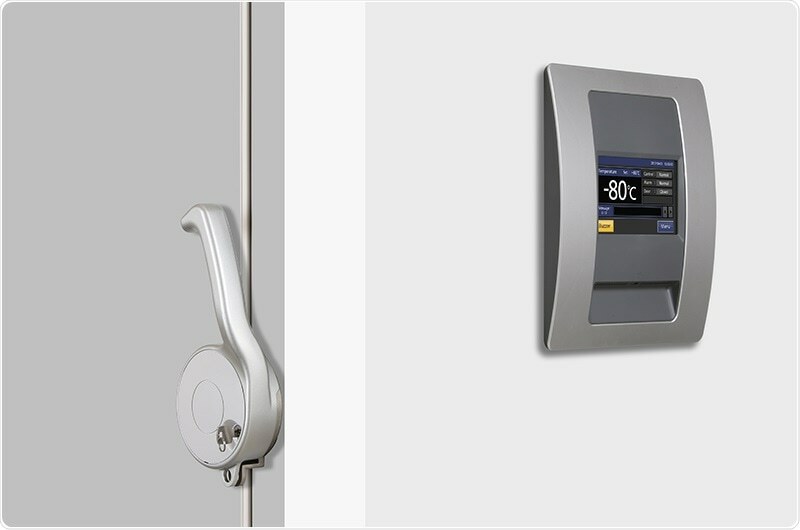 A new colour LCD touch panel allows full user control, even with gloved hands, while the USB port makes transferring logged data to a PC convenient. Step up your sample security with Panasonic’s new TwinGuard Ultra Low Temperature Upright Freezers: A pillar of protection in the storage of valuable samples.